The proprietary chemistry of Portrait Interpenetrating Polymer Network (IPN) material enables portrait IPN denture teeth to mimic the gradual wear of tooth enamel, while delivering outstanding occlusal integrity and long-lasting esthetics. The Bioform mould system, crafted from natural dentition, offers supreme patient esthetics. 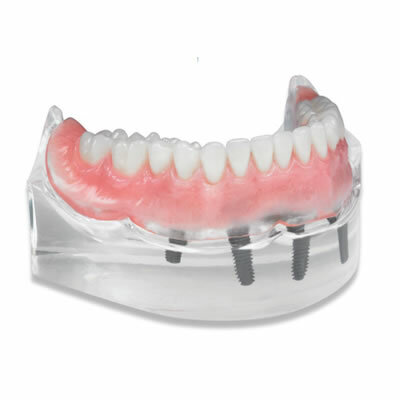 Premium cosmetic dentures are available in 62 upper and lower anterior forms; 27 posterior forms—0°, 10°, 20°, 22°, 33°, and 40°. Portrait IPN denture teeth, made exclusively in the US, are available in 27 shades—16 A-D shades, 8 enhanced Bioform shades, and 3 brilliant white shades. Each anterior tooth is a blend of 3 different shaded layers of IPN material, creating 5 distinct esthetic zones. The enamel translucency shows clear definition of the mamelons and enhances a naturally esthetic premium cosmetic denture. I've had allergic reactions to cheap plastic denture teeth, but not to PORTRAIT. My dentures with Portrait teeth are wonderful and feel much like porcelain teeth, but stronger. I'm a patient.